The list just goes on and on for all the things I make in a bullet blender. I haven’t burnt out a motor yet but I’ve certainly broken plenty of blender cups. And on one of the much cheaper bullet blender models I also managed to crack the plastic under the blade piece. But that wasn’t on any of the bullet blenders reviewed here. In a hurry to get a bullet blender? The Magic Bullet and NutriBullet are very sturdy appliances. These blenders can take a lot of daily use. You can be blending all manner of recipes for the entire family and they’ll keep serving you well. Did you know you can get a NutriBullet which blends AND heats your soup? For the latest price, check here. In my experience, the most important thing to be aware of, is putting ingredients in the cup that are too hot. I’ve been known to scoop hot dinner food, made for the adults in our household, straight out of the pot and into the blender cup to make baby food (obviously I don’t give it to the baby this hot, but I like to get the process done and out of the way rather than waiting for the food to cool down). The problem with hot food is that once you seal the blade unit onto the blender cup it starts forming a vacuum. The longer you leave the blade unit sealed in place the stronger the suction effect. The blade unit is then really hard to unscrew. Sometimes I think I’m going to crack the plastic cup because I’m gripping it so hard. Anyway, I’ve tried to stop putting really hot food in the blender cup. But it’s good to know about it if you’re just starting out with a bullet blender. Of course, with smoothies it’s the opposite problem. If you use large ice cubes they can be too hard and potentially scratch or crack the bullet blender cup. I prefer to use frozen fruit and I’ve never had a problem with it. Should I get one of these small blenders? Sure, I’ve broken a few blender cups but don’t let that put you off buying a bullet blender. These little appliances are amazing. So powerful, and so easy to clean. And when we travel, I take one with me. That’s how reliant I am on a bullet blender now. I would struggle to live without one. Trust me, if you haven’t got a bullet blender already, it’s time to get one now. The best feature on the best bullet blender? The convenience of a bullet blender was the initial selling point for me. I love just rinsing the cup and blade and then moving on to using the blender straight away for the next thing I need to blend, chop or mix. There’s no rubber ring to remove when washing. And there are only two pieces to wash, the cup and the blade. Usually all it takes is a rinse. Obviously, I wash more thoroughly when I need to, but when I’m using it several times a day it’s so handy to rinse off quickly. Two hands, two pieces to rinse. Easy. I’m always careful not to wash the underneath side of the blender blade. You want to keep all the grease, or whatever is on there, in place to keep the blender working efficiently. Most times I just rinse the blade clean. Sometimes I use the dish washing brush on it and give it a bit of a scrub. Another trick to cleaning the bullet blender is to put some water in it with some dishwashing liquid, fix the blade in place and put it on for a few seconds. This works really well to get it clean. Then you just tip the soapy water out and give it a rinse. For the price, extra flip top to-go lids offer you the convenience of taking your smoothie with you. These extra lids are for the NutriBullet cups. If you make smoothies daily you’ll benefit from owning a bullet blender. And if you have young children, you’ll save so much time buying a bullet blender. It’s just a matter of finding the best bullet blender for you and your family. The Magic Bullet has 250 Watts of power (and there’s a Mini Magic Bullet with 120 Watts) but the NutriBullet offers 600 Watts, 900 Watts and now even 1,200 Watts. And there are lots of different features included. As I mentioned, any family will benefit from from buying the best bullet blender that suits you. You can make healthy frozen fruit “ice-cream” for the kids. And baby food is simple because you can puree small amounts without wastage. Because the bullet blender can make single servings I sometimes cook extra vegetables for dinner and blend a small amount for soup. I then have a healthy vegetable soup ready in the refrigerator for my lunch the next day. If you’re living on your own you probably don’t need to be making baby food or purées. But even if you only make smoothies, you’ll love using a bullet blender. Smoothies are quick and easy to have a healthy breakfast before rushing off to work. And if you get a travel top for the blender cup, you can take your breakfast smoothie with you out the door so you don’t waste any time. Will a bullet blender improve my health? Did you know the NutriBullet Lean is made specially for people who want to lose weight. For the price, click here. The Magic Bullet and the NutriBullet are the best bullet blender models for getting extra fruit and veggies into your diet. They really do make it easy to get extra nutrients. If you struggle to eat enough greens, you’ll do it easily with one of these blenders and you won’t even see them in your smoothie (that is, if you use bright colored berries in there too). So, you’re looking for the best bullet blender. Personally, I really like the Magic Bullet and the NutriBullet. 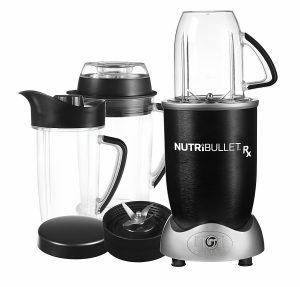 Another bullet blender which is really popular and also high quality is the Ninja Nutri Bullet Blender. If you’re interested in that brand of blenders please see reviews here. When it comes to choosing the best bullet blender they all have different features and there are different sets available if you need certain accessories. It can be a little overwhelming with so many sets available in store and online. I think you’ll find all the details you need below to make it clear. Let’s take a look at the advantages and disadvantages of the best bullet blender models. 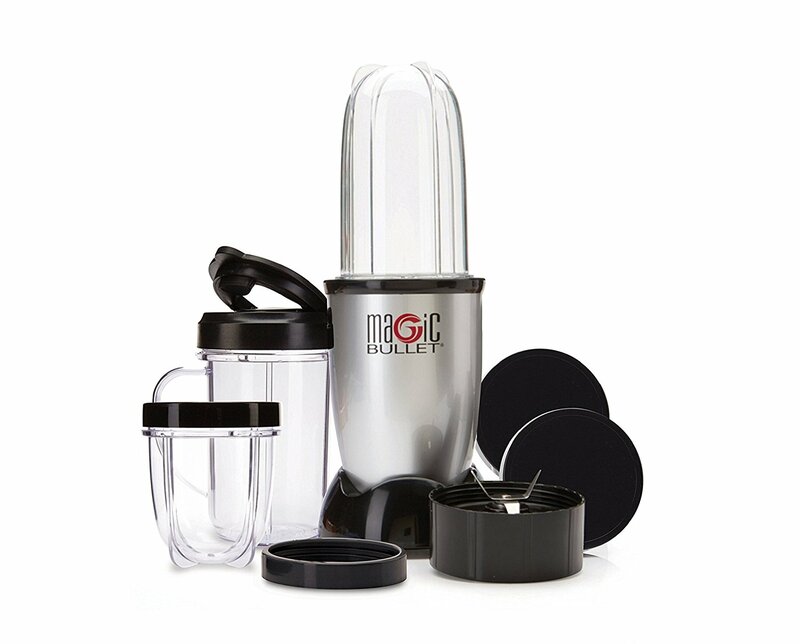 ⇒ To see the price on the Magic Bullet 11 piece set, click here. This is the best bullet blender for value. It’s a great price. You get one cross blade and three cups with this set. There’s a tall cup, a small cup and a party cup. The set come with rings to screw on to the top of the cups so they are smooth and you can drink directly from them. There’s also one flip top cover so you can take your smoothie with you. Two solid lids are included to store food in the cups in the fridge. And there are two rings for the edge of the cups to drink directly from them. It also comes with a recipe book (handy if you’re new to bullet blending). Is this set for me? This Magic Bullet Blender is great for one person or single serves. If you need to blend small servings for baby food or one smoothie in the morning, then this set is perfect. 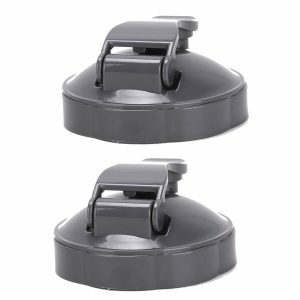 If you need more than one flip top lid obviously you’ll need to buy extra accessories or consider getting a larger set initially. The tall cup holds 20 oz, the party mug holds 16 oz and the short cup holds 12 oz. The tall and short cups can be used in the microwave. The party cup is not microwave safe. Just one word of warning, if you think you’ll be using the Magic Bullet Blender cups in the microwave, this set does not come with a lid with holes in it. The holes in this type of lid let you use the lid and cup as a shaker or as a microwave cup with vented lid. If you need the vented lid (with holes in it) you should get buy a set that comes with extra accessories that include this type of lid. All the cups, rings and lids are dishwasher safe. Just a word of warning, never put the blade unit in the dishwasher, it won’t work anymore if you do. Without the flat blade, you can’t whip cream or butter, grind coffee or grind spices. If you only want to make smoothies or puree vegetables then this won’t be a problem. With only one flip top lid, you’re also limited to only one on-the-go smoothie. If two people in your family want to take smoothies to work in the morning you’ll need another flip top lid. The User Manual warns to never run the Magic Bullet Blender for longer than one minute at a time. It says longer than one minute may permanently damage the motor. Personally, I don’t think I would’ve ever run a bullet blender for longer than 30 seconds. I can usually hear a difference in sound when the food is puréed and there’s no need to leave it on any longer. Sometimes it only takes 10 seconds. I’m not sure whether this is a limitation but I’ll mention it here anyway. This Magic Bullet motor is 250 Watts. I find this adequate for smoothies and purees. If you need more power, the NutriBullet offers 600 Watt or 900 Watt models. These more powerful blenders do a better job pulverizing seeds, nuts and raw vegetables. But if you don’t need that extra power there’s no need to spend on it. Just keep this in mind when making your purchase decision on the best bullet blender. Should I buy a Magic Bullet Blender? Overall, the Magic Bullet is an amazing kitchen appliance. It offers so much convenience in a small footprint on your counter. 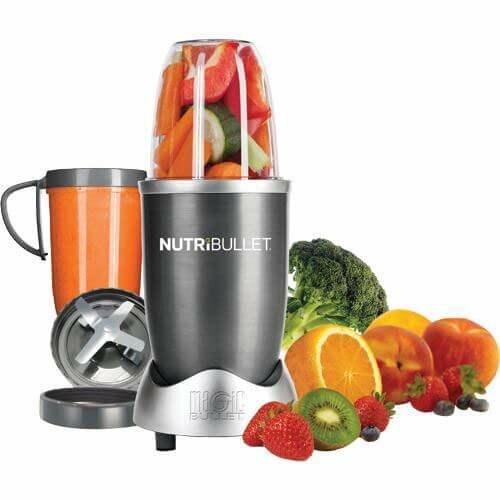 If you need to make smoothies or purée vegetables this is probably the best bullet blender for you. This 17 piece set is very popular because of the extra cups and extra blade compared to the 11 piece set. The base is the same 250 Watt motor as the 11 piece set. 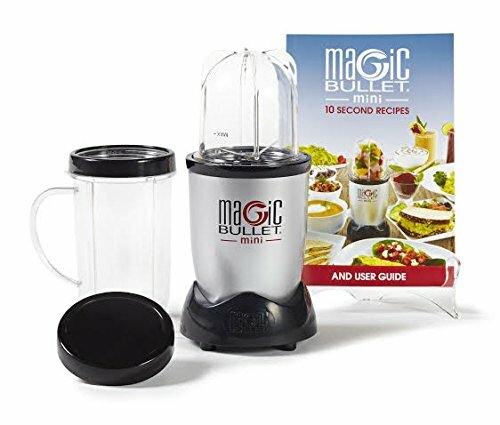 If you need the flat blade to grind coffee, grind spices or whip cream and butter then this is the best bullet blender for you in the Magic Bullet range. This set comes with one tall cup, one short cup, four party mugs, 2 solid lids, 2 vented lids, 4 multi-colored sipping rings and a recipe book. This 17 piece set does not come with any flip top lids. You may be okay with this because you don’t need smoothies to-go. If you drink your smoothie at home there’s really no need for a flip top lid. However, if you do need to take two smoothies with you out the door in the morning, try the 25 piece set which includes them plus more. Who should buy this Magic Bullet Blender set? Anyone who wants to make and drink their smoothie at home, parents making baby food, soup or homemade pasta sauces. With this set you can make a smoothie for each member of the family (up to four) and put a colored ring straight on the party mug for drinking. The short cup is great for making salsa or guacamole. If you want convenience, this set is great for easy cleaning. There are plenty of cups available if you’re using the bullet blender for several different things. And when you’re finished all the cups, rings and lids can go in the dishwasher. Of course, like any blender, the blade unit is not dishwasher safe. 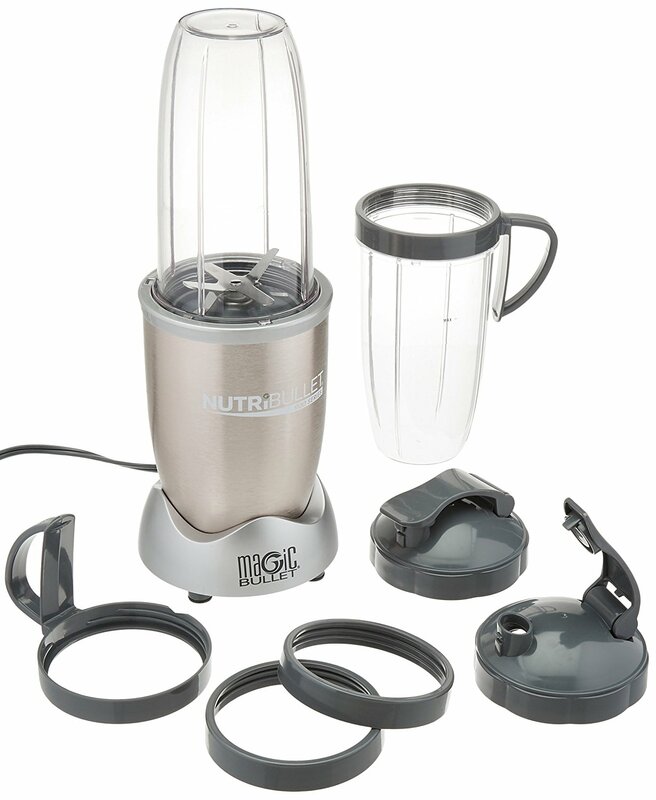 This 17 piece Magic Bullet Blender set offers convenience and healthy recipes. It’s perfect for the whole family. 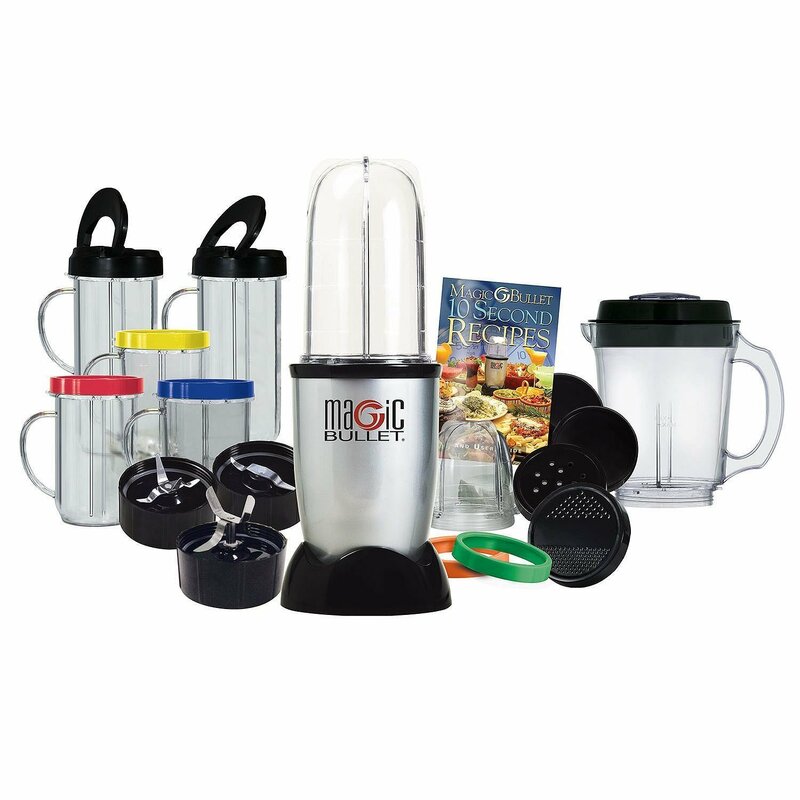 To see the price on the Magic Bullet 26 piece set, Click Here. The base of this model is the same as the other two sets. The difference with this set is that it includes more accessories. For example, it comes with 2 flip top lids for smoothies on-the-go. There are 7 cups in total and 5 sipping rings. The biggest advantage in this 26 piece set is the ice crushing blade. This blade turns ice into snow. If you need to make frosty drinks or you like a huge amount of ice in your smoothies then this Magic Bullet Blender 26 piece set is for you. The same limitations apply on the motor. Obviously, you’re not supposed to run the motor for more than 1 minute at a time. This would be even more important with ice crushing because it is an extra load on the motor. The ice crushing blade can be used for pure ice or when you’re including multiple ingredients in a smoothie which includes ice. 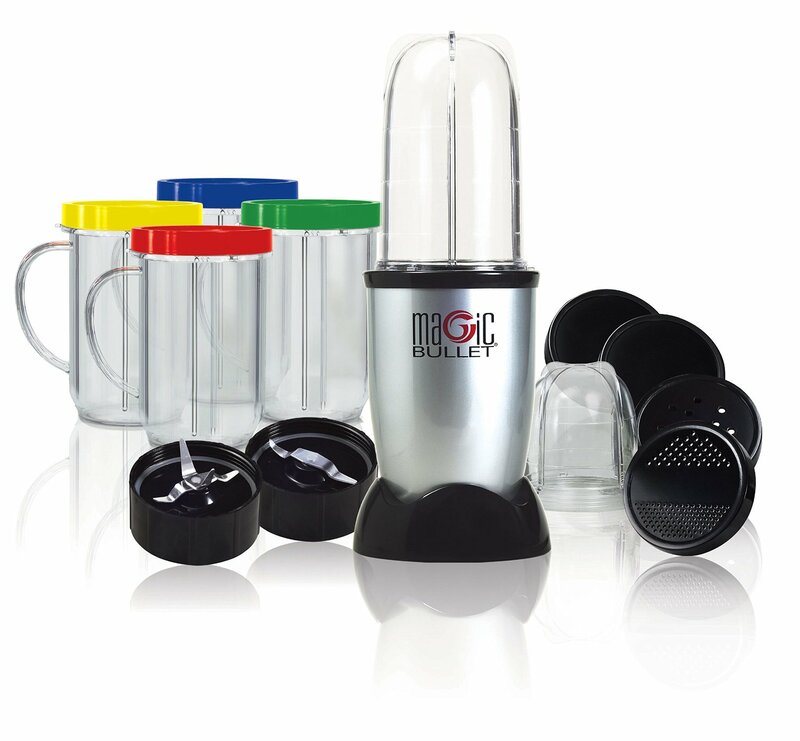 The Magic Bullet is the best bullet blender for those who want extra cups, 2 flip top lids and the ice crushing blade. This is a great little blender. It’s the best bullet blender for one person or small serves. And if you want to take it travelling, it’s smaller and lighter. The base is a lower power wattage than the other Magic Bullet Blender but it’s still good for smoothies and purées. This Magic Bullet Mini Blender cannot chop ice cubes. It’s not meant to. If you need to crush ice, go for a stronger bigger model. But this bullet blender is perfect for a single sized smoothie. It comes with one tall cup with a sipping ring so you can drink directly from the cup. If you’re making breakfast smoothies for the whole family each morning, this is not the best bullet blender for you. For purées this is perfect for small servings. There’s no waste in this blender. Please note: the tall cup and short cup are smaller than the Original Magic Bullet Blender with the 250 Watt motor. Also, the cups from the Original Magic Bullet do not fit on to this Mini Bullet Blender. You can only use the cups made for the Mini. Being smaller and lighter than the other Magic Bullet Blenders, this Mini is perfect for travelling or taking to work in your bag. The NutriBullet Blender is one of the most popular small appliances ever invented. Thousands of these have sold. And there are thousands of happy customers using the Nutribullet. You only have to look at the reviews here. What I like best about the NutriBullet is that you can make smoothie juices with the pulp left in. When I use a juicer I throw away a lot of the pulp from the fruit or vegetables. I like to keep that pulp in my smoothie. Sure, it’s not as liquid as a juice, but it is still smooth and delicious as a smoothie, just thicker in consistency. Not only do I get to keep the pulp in my smoothie juices, but the NutriBullet also uses only about 10% of the space that my large juicer took up on my counter. And if you have to lift a large juicer, it’s awkward and bulky. The NutriBullet is very compact and easy to lift. The NutriBullet is the best bullet blender if you want to include hard vegetables in your smoothie. Carrots, apples, flax seeds and other ingredients are no match for the NutriBullet. It pulverizes it all into a smooth drink. Does the motor have enough power? This model has the 600-Watt motor. There is also a 900-Watt version (see below). Obviously, the 900-Watt will do the job even better, but honestly, I think you’ll really be impressed with the power of the 600 watts. The first time I used a 600-Watt NutriBullet I was a bit scared of how much power it had. When you push it down be prepared for a burst of power. You’ll feel it. It’s also loud, but that’s the same with any blender. It needs to be loud to do its job properly. 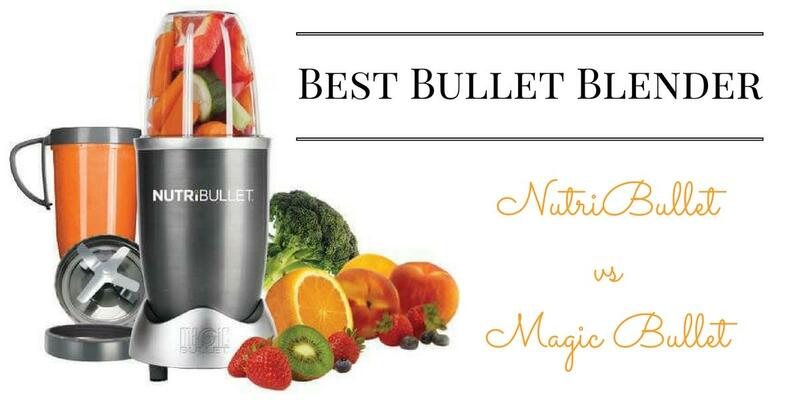 How does the NutriBullet compare to the Magic Bullet? The NutriBullet is just as convenient as the Magic Bullet Blender. It is easy to clean. Compared to the Magic Bullet, the NutriBullet has larger cup sizes. This is a great feature for families that like to make breakfast smoothies for more than one person. It comes with the 24 oz and 18 oz size cups. You can also purchase an extra large 32 oz cup for the NutriBullet. The NutriBullet claims to extract the nutrition from fruit, vegetables, seeds and nuts. I don’t know about the science behind it, but I do know quite a few people who feel better drinking a NutriBlast every day. I know I feel better with a smoothie from the NutriBullet daily. Whatever the reason for it, I think you’ll be pleased with the NutriBullet. 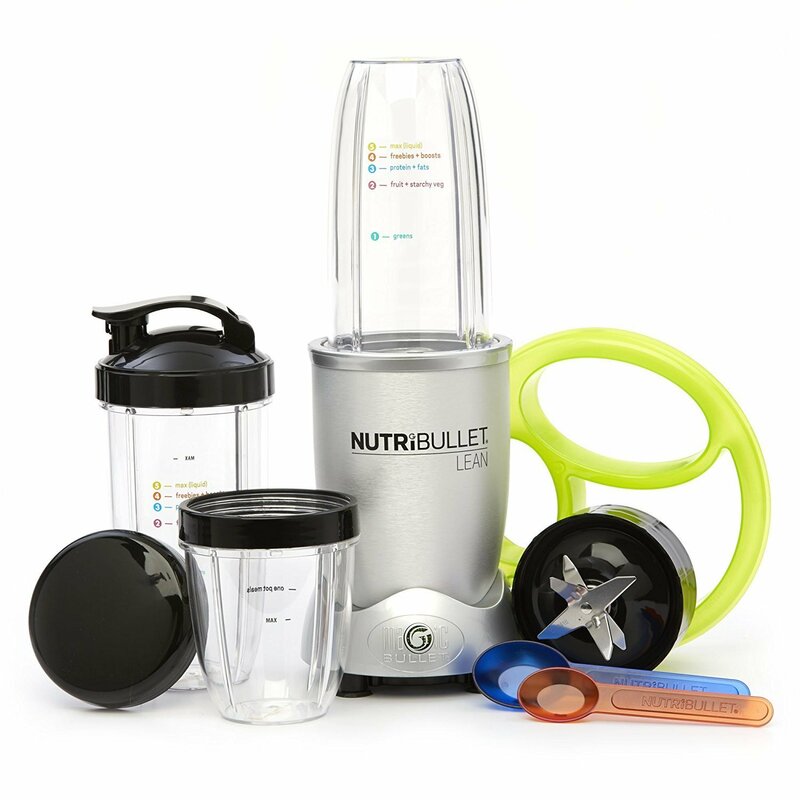 Are there any limitations to this NutriBullet 12 piece set? This 12 piece set is great value but it doesn’t come with the flip top to-go lids. These can be bought separately along with extra cups. You’ll need the lids if you’re going to take your smoothie with you. Of course, plenty of people drink their smoothie at home so there’s no need to include these lids and that’s good because it keeps the price down when they’re not necessary. I heard it leaks? Is this true? Some people have complained about the NutriBullet cups leaking when they are blending. While that can happen it probably won’t happen to you if you follow the instructions and never fill the cup beyond the max fill line. The NutriBullet needs some space to create the vortex and blend the ingredients. If you don’t leave this space (by keeping it below the max fill line) then the pressure to too great and the food leaks out. As long as you keep the food below the fill line and screw the blade unit on tightly you won’t get any leaks. Another important thing to remember is that the NutriBullet requires some liquid in the cup. You can’t just blend dry ingredients. As long as you include water, almond milk, or any other liquid and run the motor for less than one minute at a time you shouldn’t have any problems with the motor burning out. Personally, I’ve never burnt out a motor on any of the bullet blenders I’ve owned. I think this is because I use it the way the manufacturer intended. Also, I use frozen fruit in my smoothies instead of ice. This 8 piece NutriBullet set is the same as the 12 piece set with fewer accessories. It comes with one blade, not two. It comes with one tall cup and one short cup (instead of two) and there are no solid lids included. 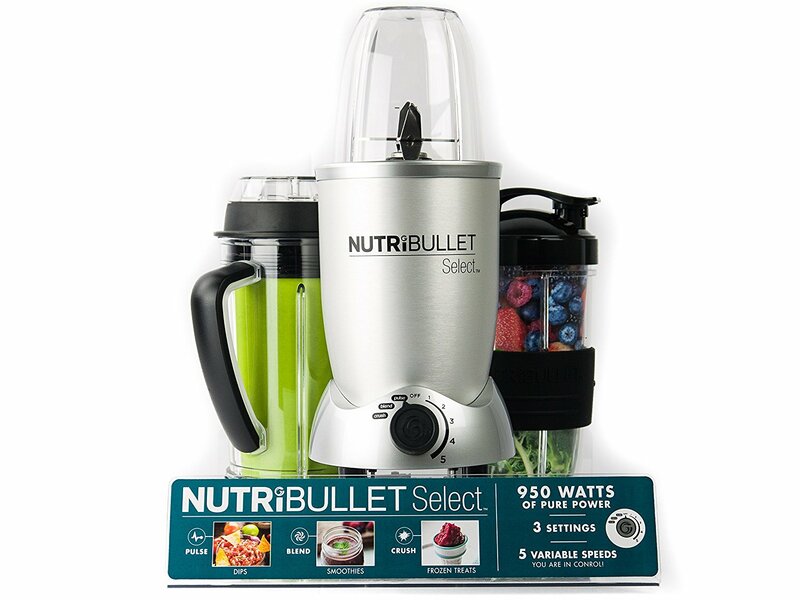 At the time of writing, the NutriBullet 12 piece set was priced the same as the 8 piece set. So, even if you don’t need the extras you could buy the 12 piece set, just in case. If you happen to break a cup, you’ll be pleased you got the extra accessories. So, be sure to check the price difference on these two sets when you’re buying. The NutriBullet Pro can really have an impact on your life. It can help you improve your diet and give you more energy. The NutriBullet Pro is the 900-Watt model. Like I said, the 600-Watt has plenty of power for most things. But if you want to pulverize hard vegetables on a regular basis, then a 900-Watt will be the best bullet blender for you. The 900-Watt NutriBullet has come down in price in recent times so it’s quite affordable for most people looking for nutrient extraction in their smoothie. Do I have to make NutriBlasts in the NutriBullet Pro? NutriBullet explains about nutrient extraction in their included recipe book. They also explain how to make a NutriBlast. Of course, you can still make your favorite smoothie in a NutriBullet Pro, the way you like it without doing anything different. It will be super smooth once you put it through 900 watts of blender power. The NutriBullet Pro is the best bullet blender for hard fruits and vegetables like carrots, apples, beets. It does a great job with flax seeds and nuts too. You can pulverize whatever you want to put in your smoothie or purée. With all the ingredients concentrated in a small area and being blended with such a strong motor, you get the smoothest results every time. Can the NutriBullet be dangerous? The NutriBullet manufacturer does warn about using dangerous seeds like apple seeds or cherry, peach apricot and plum pits. These seeds contain a chemical that releases cyanide into the body. The NutriBullet is so powerful that you can pulverize seeds and not realize they’re in your smoothie, so you really need to be careful about not including these seeds in your ingredients. Some people say it leaks. Is this true? If you read reviews, there are some reports about the NutriBullet Pro leaking. I’ve never had a problem with NutriBullet. Many people have offered advice and it seems to come down to not overfilling the cup. In the user manual, it is quite clear that the cup should only be filled to the Max Level Line. If you overfill, physics dictates that the liquid will escape. It is also recommended that if you use ice in your smoothie you should only use a maximum of 25% in the blending cup. Personally, I prefer using frozen fruit in my smoothie. But when I run out I use ice. It makes the blending louder but it has always worked fine for me. None of the NutriBullet blenders are intended to be ice crushers. Every time you blend you need to include liquid. This is the same with any blender (except for the high-end blenders where you’re spending over $500). Do I get two blades with this set? This set only provides one extraction blade. If you need the flat blade you should consider buying the 15 piece set for the NutriBullet Pro. This 13 piece set includes two colossal 32oz cups, 2 sipping rings with handles, 2 standard sipping rings, two flip top to-go lids and a hard cover recipe book. 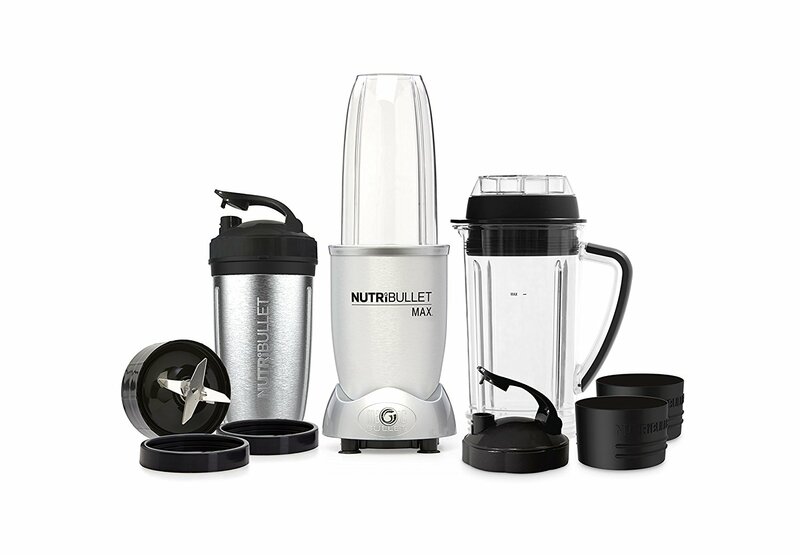 The NutriBullet Pro 15 piece set is very similar to the 13 piece set. The biggest difference is the size and number of cups. If you need variety in the sizes of cups, then the 15 piece is the best bullet blender set for you with four cups included. If you love the colossal 32oz cups then the 13 piece set includes two of them and it’ll be the best bullet blender set for you. Just keep in mind that the 15 piece set only comes with one flip top to-go lid. If there are two of you taking a smoothie with you in the morning, you’ll either need to buy the 13 piece set or you can buy extra lids separately along with extra cups. If you’re used to a blender with different speed controls and you’re missing this function on a bullet blender then the NutriBullet Select may be just what you’re looking for. What does this NutriBullet offer? 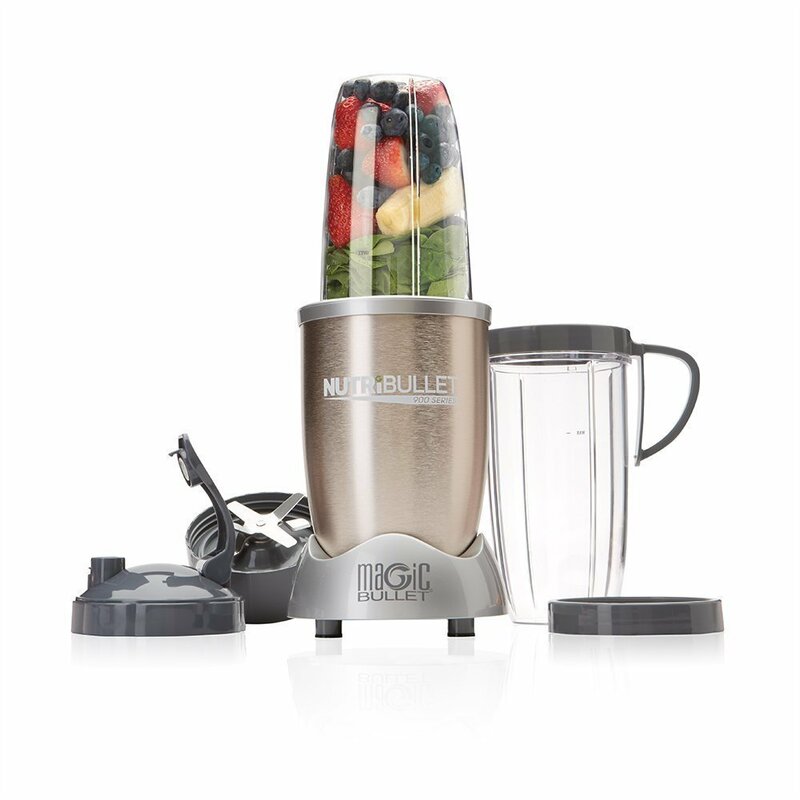 The Select model is a 950-Watt NutriBullet with a dial on the front to select different levels of blending. The functions include Pulse, Blend and Crush. Then there are 5 variable speed controls to choose from. This gives you control. The other bullet blenders only have one setting/speed, it’s either on or it’s off. With the NutriBullet Select you’re back in control. The NutriBullet Select comes in a 10 piece set including a colossal cup, a short cup AND a pitcher with a 2 piece lid. The advantage of the pitcher is that you can add ingredients from the top without having to remove the cup and turn it over and unscrew the blade unit to get the extra food in. This is a huge advantage if you know you’ll use this feature. This NutriBullet Select is still a small footprint on your counter so it’s a lot smaller than a regular blender. But with the speed selection dial and the pitcher included, it can be used more like a regular blender. 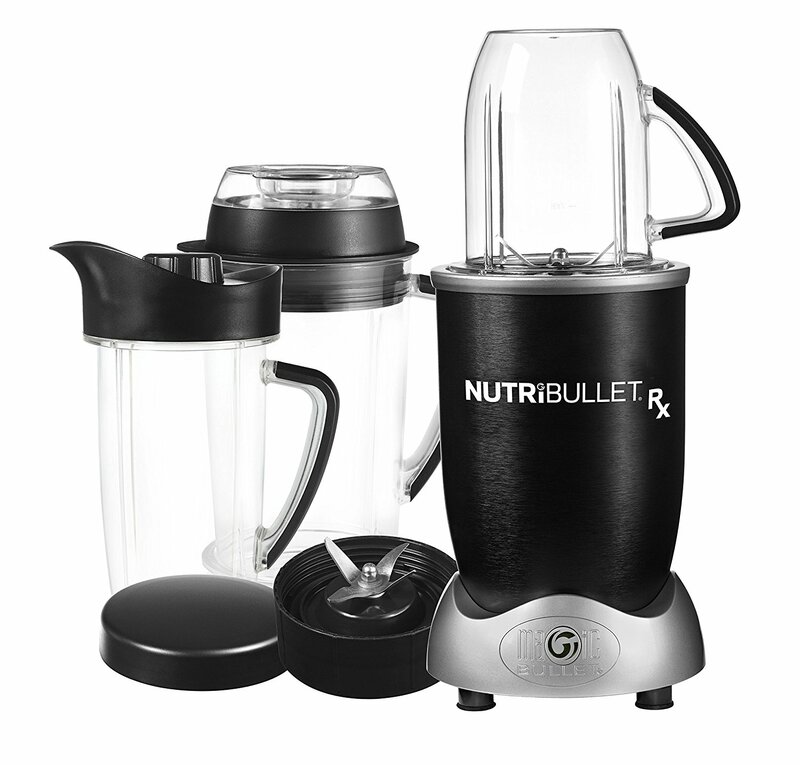 This is the best bullet blender for anyone who wants a hybrid of a bullet blender and a regular blender. It’s the best of both worlds. And with a 950-Watt motor it also pulverizes hard vegetables like the NutriBullet Pro. 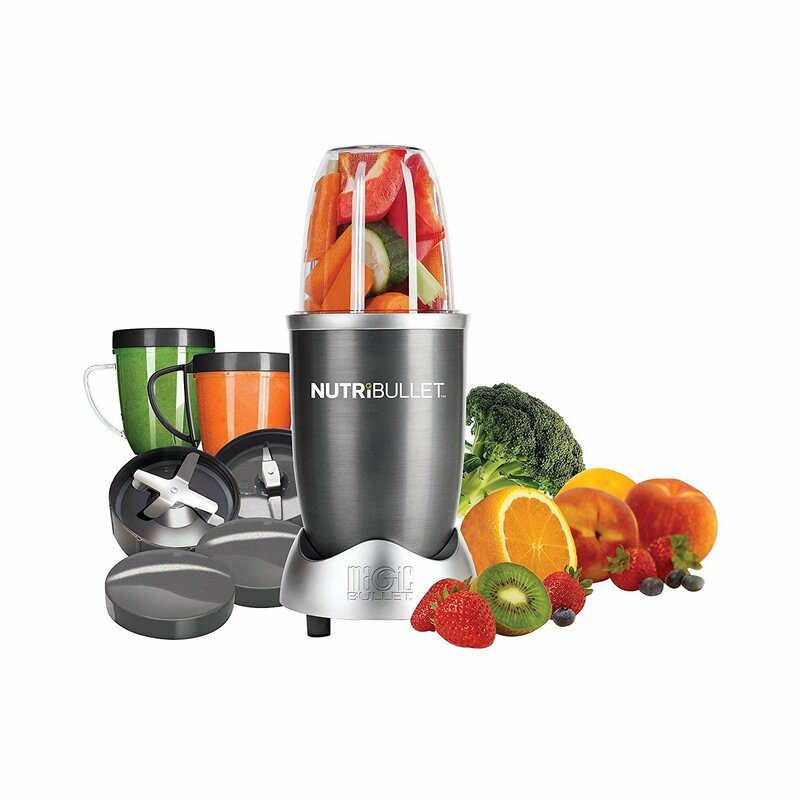 This NutriBullet Select is a very welcome addition to the NutriBullet family. If you’re trying to lose weight, a NutriBullet can really help. If your primary reason for buying a NutriBullet is to lose weight you might be interested in the new NutriBullet Lean model. The Lean has an incredibly powerful 1200-Watt motor. It comes in a 15 piece set which includes 6 weight loss support tools. The NutriBullet Lean set includes 2 colossal 32oz cups with markings to help you measure the exact amount of greens, fruits, fats and ‘boosts’ to add to your smoothie. A perfect portion plate divider is also included to help you use the right portions for meals. There are also measuring spoons, one for fats like nut butters and one for powders or spices, and there’s a 7 Day Transformation Plan included in the set. This includes meal plans and recipes. The set also comes with a carry bag for the short cup. The NutriBullet Lean is the best bullet blender for anyone who is taking weight loss seriously. The ‘Lean Blasts’ that you make are focused on weight loss compared to the ‘NutriBlasts’ from other NutriBullet recipes which focus on nutrition per se. With a 1200-Watt motor some buyers are finding this a superior bullet blender simply due to its extra power. Whether you buy it for weight loss or for the extra power, this NutriBullet Lean is a quality new product from NutriBullet. The NutriBullet Max is a step up in the bullet blender family. With 1200 Watt power and a new stainless steel drinking cup, these are new features to make you sit up and take notice. Does it really turn off automatically? The NutriBullet Max comes with pre-programmed autocycle. This means it shuts off automatically after optimum nutrient extraction. No need to watch and wait. It makes the decision and turns itself off when it’s done. This feature is really handy when you’re rushing to get to work in the morning. Just put the ingredients in and it does all the rest for you. This NutriBullet is very powerful. Even compared to the 900W model, you’ll notice the difference. For anyone who’s had to strain their smoothie because of seeds not being pulverized, you can rely on the NutriBullet Max to do the job properly. Like raspberries or blackberries, but want it smooth? No problem. It’s also great if you like using flax seeds in your smoothie. The stainless steel stay-cold cup is supposed to keep drinks cold for 8 hours. This is an advantage for people who want to use it as a to-go cup in summer. Does it move around on the counter when blending? This NutriBullet also has suction cups on the base to help it stay in place while blending. This is a great feature. Personally, I’ve found bullet blenders do tend to move around a bit on the counter when you put them under pressure. If you are blending hard vegetables, they usually want to move a bit. The suction cups stop this. With 1200 Watt of power you can blend even more than the other models and there’s no movement on the counter top. The NutriBullet Max comes with a pitcher. The advantage of this is you can add ingredients from the top without taking it off the motor base. If this suits your style of blending, you’ll find it invaluable. If you want a powerful blender, the NutriBullet Max offers more than you’ll need. It’s also really convenient with the to-go cups and the auto shut-off feature. This blender is amazing. With 1700 Watt power it will make silky smooth juices and smoothies. It has an auto shut off feature to blend until you get optimum nutrient extraction and then it stops. The NutriBullet Rx is amazing because of the soup heating function. Press the button and it will turn from green to red and heat your soup for 7 minutes. The soup gets very hot and steaming. If you want the convenience of all this power with the ability to make soup with minimal clean-up, this is the best bullet blender for you. This is also the best bullet blender for making nut butters. With 1700W power you can blend nuts easily and if you want to make and heat a cashew nut sauce you can do it all in the same appliance. So much convenience. This is a smart blender and one you’ll love. There are plenty of bullet blenders to choose from. I’m a fan of the NutriBullet and the Magic Bullet blenders because they are high quality appliances but still an affordable price. Are they worth it? In my opinion, yes, definitely. I don’t know how I’d live without a bullet blender now. The best bullet blender for you and your family will be a personal choice but I know you’ll be pleased once you get it. With so much convenience, you’ll improve your health without even trying. Don’t delay, buy a bullet blender today and you’ll be pleased you did. ☑ Interested in finding the Best Counter Top Blender on a budget? See the best here. ☑ Need a new kettle? What about a pour over kettle?